For all your Temporary Fencing Hire & Sales requirements you have come to the right place. 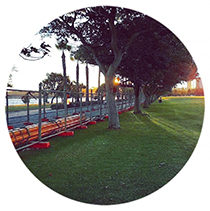 Centurion Temporary Fencing is Western Australia’s largest independent temporary fencing supplier. With a sales and a hire division our aim is to have a solution that meets your requirements and budget. Throughout this website you will find detailed information on the temporary fencing products we hire and sell. Head online to get a quote today and one of our team members will contact you to discuss your temporary fencing requirements. Photos from Centurion Temporary Fencing's post Install for PACT Construction recently in Joondalup. 82.5lm with the customers own shade cloth. Call Monday to Friday, 8am to 4pm for any temporary fencing requirements. Centurion Temporary Fencing added 3 new photos — in Joondalup. Thanks to the guys at PerthWeb for all their help. Centurion Temporary Fencing is in Palmyra. 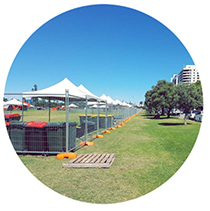 Centurion Temporary Fencing is at City of Nedlands. Photos from Centurion Temporary Fencing's post 27.5lm install for Everett-Smith recently at Perth airport. Get in touch with the team to discuss your fencing requirements. Centurion Temporary Fencing added 2 new photos — at Perth Airport. It’s nearly the end of the working week and Charlie is excited for the weekend! He has had a hard week you know, sleeping on the office floor! Photos from Centurion Temporary Fencing's post Starting off the week busy again. 82.5lm install for our client Sunrise Building Company in Naval Base. Get in touch today with the team. Centurion Temporary Fencing is in Naval Base. Photos from Centurion Temporary Fencing's post We are back in the office today after the long weekend and hope you enjoyed your break. Recent 122.5 install for Alita Constructions in Waikiki. Get in touch with the team today as slots are filling fast! We were there to assist this private customer in Shelley to secure their property after some fencing was blown down. Photos from Centurion Temporary Fencing's post Recent 40lm install in Malaga for a new customer Westkey Modual Housing. Back in the office from 8am this morning. Give the team a call for any requirements. Centurion Temporary Fencing is in Malaga. Get in touch with the Centurion team today for any requirements. Photos from Centurion Temporary Fencing's post Another install for our client BMD Group recently in Mount Hawthorn. 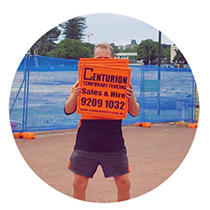 Centurion Temporary Fencing is in Mount Hawthorn. Photos from Centurion Temporary Fencing's post Mitchell Freeway/Cedric Street ramp 125lm install for BMD Group recently. Centurion are open Monday - Friday, 8am - 4pm, so feel free to get in touch with the team. Centurion Temporary Fencing is at Mitchell Freeway. Photos from Centurion Temporary Fencing's post 210lm of standard construction fence with shade cloth & 40lm of colour bond fencing for our client PS Structures in December. Back open Monday morning at 8am. Get in touch for any requirements. Install of shade cloth only for this customer in Subiaco. We are happy to help out where we can with your shade cloth requirements. Give us a call to discuss further. 25lm for our customer AE Hoskins Building Services recently in Subiaco. We also installed the customers own shade cloth. Get in touch today with any requirements. Centurion Temporary Fencing is in Subiaco, Western Australia. We would like to thank you for your continued support throughout 2018 and look forward to working together in 2019. Back in the office tomorrow from 8am for any temporary fencing requirements. Photos from Centurion Temporary Fencing's post Nearly a 300lm install for our client True North Church for an event held in December. We would like to wish all our existing & new customers a Merry Christmas. Centurion Temporary Fencing Centurion Temporary Fencing updated their profile picture. Install for our long term client DBS Fencing recently in Ascot. No job too big or small for the Centurion team. Call today for any temp fence requirements. 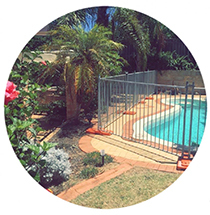 Centurion Temporary Fencing is in Ascot, Western Australia. Centurion Temporary Fencing's cover photo Centurion Temporary Fencing updated their cover photo. Photos from Centurion Temporary Fencing's post Large 175lm install for our client AE Hoskins Building Services recently at Calais Road In Scarborough. With install of customers own printed shade cloth. Call the team from 8am Monday. Photos from Centurion Temporary Fencing's post 162.5lm Install for our client 3B Build recently in Padbury. And yes that is our new logo that you see! Photos from Centurion Temporary Fencing's post Install for a private customer recently in Ferndale. 22.5lm with weedmat for privacy. Contact the team today for your free quote. Photos from Centurion Temporary Fencing's post 40lm Install for our client Classic Hire recently in Cloverdale. Photos from Centurion Temporary Fencing's post Fridayyyyy! Finishing off the week on a high. Centurion Temporary Fencing is in Rockingham. I’d like to provide you with some positive feedback about the two guys who delivered and installed the fencing. You have to be proud to have them working for you, they represent the company brilliantly, they are two very lovely guys who went above and beyond to do what I needed to make my backyard secure for my dogs, including cable tying the fencing to the patio post. They were so lovely, and I’d love for you to know this. I work in customer service, so I know how valuable this feedback is to you! Thank you Tarin, i was very impressed with your service & workers.